We get it. Styling your bookcases and shelves has been on your to-do list for months now and you just aren’t quite sure how to do it. You think you’ve created the perfect visual masterpiece but then something is missing. Take heart. We’ve all been there. To help you out, we’ve created a simple system to help you style the perfect shelf while still capturing your personality in the design. 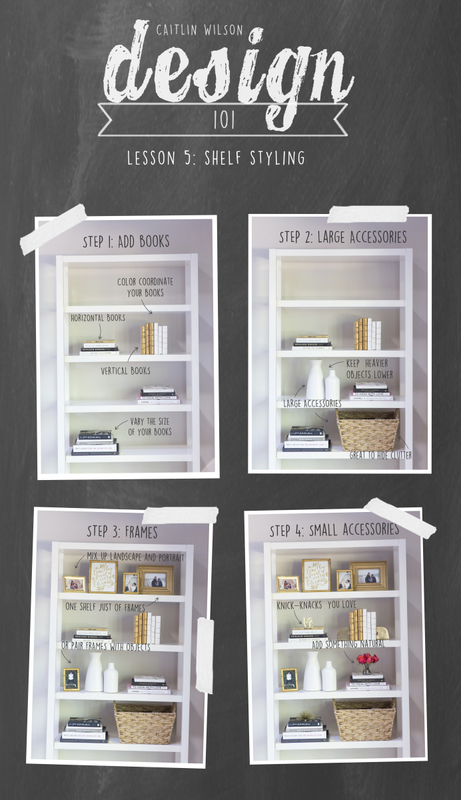 So without further adieu, here are Caitlin Wilson’s steps to the perfectly styled bookcase. Step 1: Place Your Books. Mix up the book placement from shelf to shelf. Use a mix of vertical and horizontal arrangements. Place bigger items on the shelves first and save your little items until last. This will help you to know what type of space you need to fill vs. leave open. Large accessories can include vases, baskets, sculptures, etc. Baskets on your shelves are great for storage and hide cords or clutter from electronics. Place heavier objects on lower shelves and put the lighter objects on the top. This helps with the flow of the shelves (and as a bonus is a little safer too). Prop small frames on the shelves and hang larger pieces. Don’t be afraid of mixing framed artwork and framed photographs throughout your shelves. Make things a little more personal by adding family photos. Choose decorative objects than can be used as if they are artwork, i.e. sculptures, bowls, plates, baskets, etc. Use unexpected items such as antiques, small statues, clocks, or knick-knacks from your travels, etc. Keep your shelves relatable. Choose objects that have meaning to you so that you won’t get tired of looking at them. Everything doesn’t have to match, but make sure things are alike in essence. Add something natural such as a succulent or small house plant. It adds a pop of color and gives added dimension. Intersperse short items and tall items. And try thinking in layers and use different heights and different textures. Think oddly. Objects look better when gathered in odd numbers. Try color coordinate your books. It’s not necessary, but it can add an interesting design effect. Paint the wall behind the shelves an accent color or use wallpaper to add a pattern. Don’t over-crowd your shelves. Leave open spaces to allow for negative space. 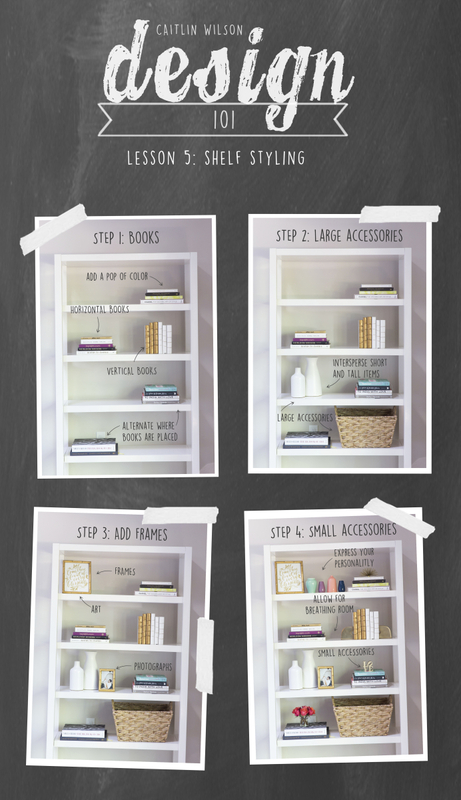 This will help your shelves look more visually appealing. Love this post. Where did you find the LOVE piece?